It’s easy to sum up the benefits of online shopping with the three C words: convenience, comparison and coupons. Convenience because we don’t have to leave the living room to check out all those great deals; comparison because online shopping tools allow us to compare prices, as well as other key variables such as shipping costs and delivery times; and coupons because, well, in the digital age no-one should have to pay full asking price for anything! Unfortunately some online shopping tools fall short of expectations because they insist on adding another C word: complications. These can come in the form of distractions like unwanted pop-up ads or annoying ‘deals of the day’ that have nothing to do with your original search. If you want thrive in the online shopping jungle, then you don’t come between a determined shopper and her bargains! By these measures, Verizon’s updated and improved Visual 411 search tool checks all the right boxes when it comes to on-the-go shopping and finding the best deals. Although primarily a local business and shopping guide, Visual 411 doesn’t lose sight of what we all want – and that’s a bargain! Updated at the end of last year, the app is loaded with coupons from national and local retailers and can be customized to deliver exactly the deals that you are looking for. The easy-to-use interface retains the 9 upfront choices of the original app, although the list of categories has changed. Food & Drink is there, so is Shop & Fun but now there are separate categories for Coupons and Weather & Traffic, acknowledging that finding a deal and getting to where we want to go remain prime motivators for using these kind of tools. 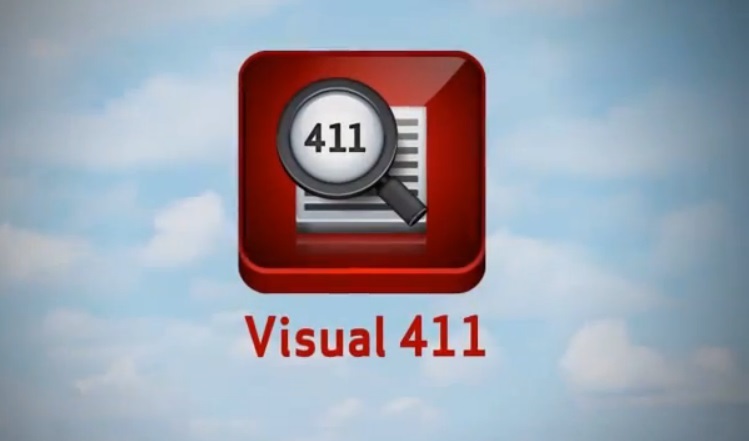 But the real benefit of Visual 411 is the ability to customize it so it knows exactly what you are looking for. You can save recent searches to more conveniently access your favorite stores; you can set up alerts and notifications for deals and special offers; you can share deals and discounts with friends; and you can instantly get turn-by-turn directions to safely take you where you need to go. If you’re not comfortable allowing the app to track your exact location, then you can search by zip code instead. Search results are presented by distance from your current location but you can also sort by name or switch to view those precious coupons. Visual 411 makes search easy and fun but never loses sight of the ultimate goal: great products at a great price!